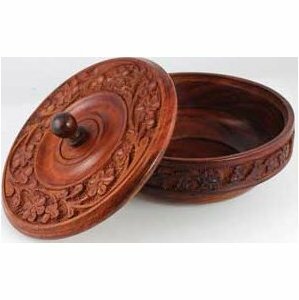 A 5 inch carved wooden dish with a floral pattern and matching lid. An elegant vessel for altar offerings and ceremonial use. Stands approximately 2 and 1/2 inches tall.